The Tesi wall hung toilet features Ideal Standard's AquaBlade® technology delivering a quieter, cleaner and smarter flush every time. 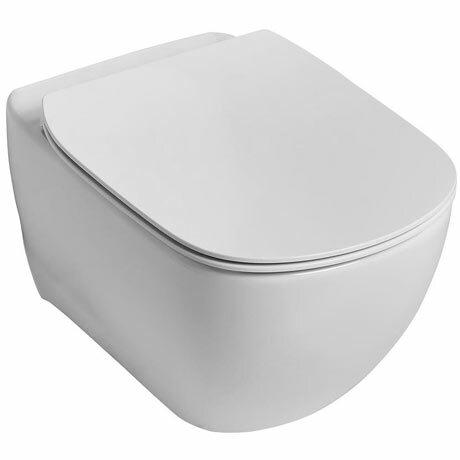 The narrow channel reduces turbulence, making for a much quieter flush while the design of the bowl makes it easy to clean and leaves 95% of the bowl surface clean every time, compared with traditional WCs which leave 20% of the bowl unwashed. Comes with the option of a standard or soft close seat. Dimensions: (W)360 x (D)530 x (H)335mm approx.